Love to fry food for your entire family (and guests)? 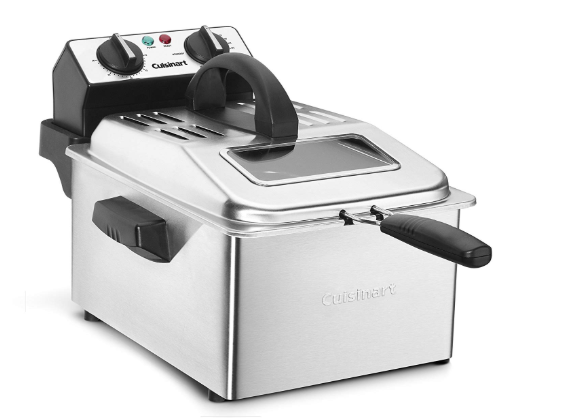 If so, you’ll need a deep fryer with a decent capacity and Cuisinart’s CDF-200 Deep Fryer is our top chioce. It’s easy to use, has an adjustable temperature dial, and can cook up to 2.3 lbs of food.